Although I’ve written several hundred film reviews for this site, I’ve never done a book review here. But when Emma Welton asked me to participate in a book blog tour for John Marrs’s latest novel, Her Last Move, I gladly agreed. I’ve even revised the layout of this page to make it a bit more “book-review-friendly.” I did so because I’ve enjoyed several of John’s earlier books, especially the intricate way in which he constructs his plots and the many twists and turns his stories take along the way. I was hoping this new book would showcase that same attention to detail even in a new genre, the police procedural, that is somewhat structured. Her Last Move lived up to my expectations and is a very good read, not just for mystery fans, but for those who enjoy well-plotted books in general. Her Last Move follows the three main characters, the detectives and the killer, in alternating chapters told from the points of view of each. Some of the elements in the book are quite familiar for fans of the genre: the interviewing of witnesses and possible suspects, dead ends and wrong turns, near misses, a chase scene, and the gradual piecing together of clues and assembling a profile of the killer. But, as the book progresses, the author gets into more detail about the psychology and background of the three main characters (using several flashbacks), which eventually reveal that all three are carrying around some heavy psychological baggage. Both Becca and Joe have messy personal lives to deal with as well. Becca is a workaholic trying to prove that she’s in the same league with her male colleagues and also find time for a special-needs daughter. Meanwhile, Joe has some unresolved family matters from his past and marital issues to boot stemming from his obsession with that past. Viewed merely as a police procedural or, in other words, the way the basic story would play out on an episode of a typical cop drama, Her Last Move is a solid work with an exceptionally creative and sadistic villain. The author’s dialogue is quite good, capturing the banter among the detectives and pointed interrogation of an early suspect in the case quite effectively. Also, the use of “super-recognisers” such as Joe to track down the killer is a welcome change from the vast majority of TV procedurals. Those shows employ the writing crutch of “facial recognition software” to identify anyone in three seconds based on a single frame of security camera footage and then reveal enough about the suspect’s criminal record and whereabouts to allow the cops to make an arrest within the show’s 60-minute time frame. Marrs eschews such gimmickry in favor of traditional trial-and-error police work, which makes for a much more entertaining novel. Like all of John Marrs’s books, however, Her Last Move is far from simple, and the story never proceeds straightforwardly from beginning to end. Instead, his books are filled with surprises, strange twists, and seemingly distinct storylines that intersect in highly unexpected ways. I noted that the first Marrs book I read and reviewed, Welcome to Wherever You Are, reminded me of the TV series Lost in terms of complex, interconnected structure, and his subsequent books have that same quality to them. Despite having relatively fewer characters than do the author’s other books, Her Last Move manages to tie both major and minor characters together in unexpected ways that are gradually revealed as the book goes along. With the help of those revelations, the author surprises readers over and over again en route to one big shock that everyone will remember. As anyone who has ever seen a magic trick revealed will tell you, it’s very simple if you know where to look. For that reason, both magicians and mystery writers try to misdirect their audience. The magician does it with lights and sounds; similarly, many authors do the same thing, overwhelming their readers with red herrings and intriguing subplots that eventually go nowhere. John Marrs does something that’s considerably more difficult and ultimately makes for a more satisfying reading experience. In Her Last Move, he lets his readers mislead themselves by playing on their preconceptions to induce them to jump to the wrong conclusions. This discussion might seem a bit vague, but I really don’t want to spoil anyone’s enjoyment of the book. When all is said and done though, readers will come away with a greater appreciation for the author’s skill in choosing his words and what he decides to reveal and conceal. When I corresponded with John Marrs before reading Her Last Move, he informed me that he felt that this novel represented a bit of a risk on his part due to the change in genres. Frankly, none of his works that I’ve read can be pigeonholed into a particular category. 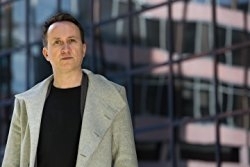 Instead, he adapts his technique and methods of putting his books together to the genre in which he’s working, and the results, to coin a phrase, become distinctly Marrs-ian. Her Last Move is occasionally a bit rough around the edges—the personal situations his characters find themselves in are just too melodramatically described at times—but the end result is a fast-paced novel that will alternately thrill, surprise, and enlighten the reader. 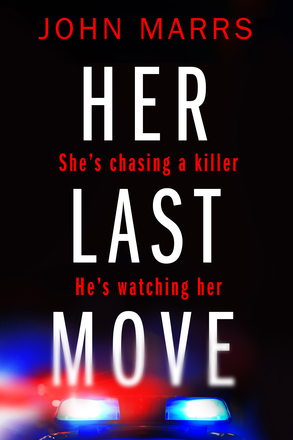 Hopefully, this book will not be John Marrs’s last move in this genre, but picking up a copy of Her Last Move should be discerning readers’ next move.